A few years ago, my husband and I visited the One of a Kind Show in Toronto where we purchased three diffusers, one for each of our bedrooms. The diffusers we purchased for the kids' rooms also doubled as a night light since they had an LED lamp. The capacity was 100 mL, which I thought would be sufficient, but we ended up using it a lot more frequently than I had anticipated and I would have to refill the reservoir quite often. An upgrade was definitely in order. 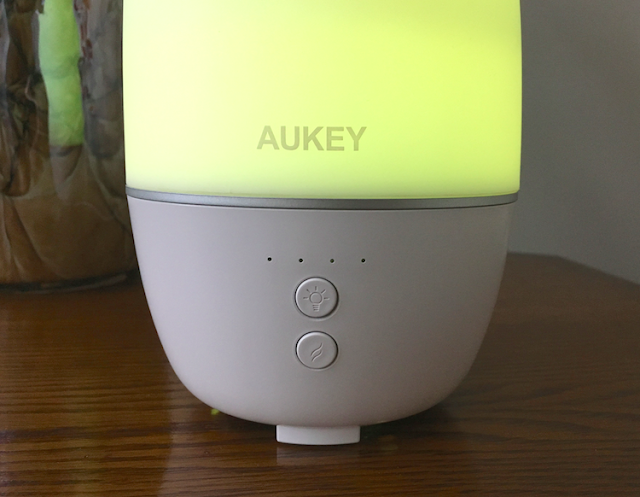 Then, earlier this month, I received an Aromatherapy Essential Oil Diffuser / Ultrasonic Cool Mist Aroma Humidifier from AUKEY for review and I knew this would be the perfect replacement. This ultra-silent aromatherapy diffuser is an excellent example of form meets function. Its contemporary teardrop design suits the modern home or office and the built-in LED lamp with seven colour options easily adapts to your mood. You can choose from dim and bright lighting, as well as changing or fixed colours. The timer lets you run the diffuser for 1 hour, 3 hours, 6 hours or continuously, and the auto shut-off feature will turn it off once the water is used up. Aside from the obvious benefit of having a diffuser with a capacity that is three times as large as our old diffuser, I really like how quiet it is, especially given the fact that we use it frequently throughout the night. It is very easy to use and the humidifier comes in extra handy during the winter months when we experience very dry air. Our favourite essential oils to use with our new diffuser are eucalyptus radiata, tea tree, lemon and orange - sweet. 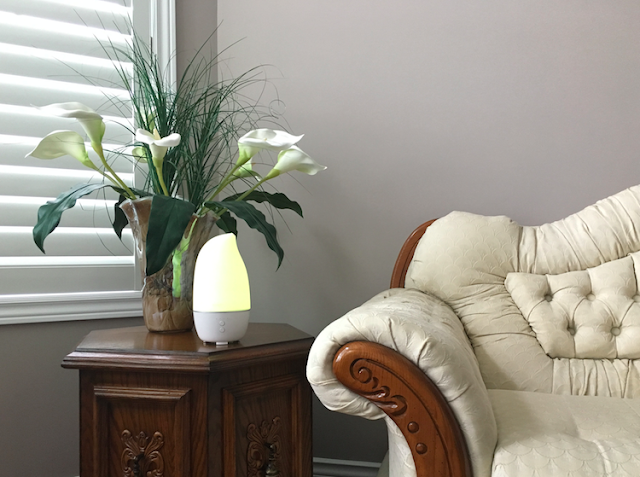 The Aromatherapy Essential Oil Diffuser / Ultrasonic Cool Mist Aroma Humidifier from AUKEY, available for purchase on Amazon.ca, currently retails for $44.95 and is eligible for free shipping. That is a very nice diffuser. I love my house filling with aromatherapy. I have never tried one of these, but after reading up on them I would love to give one a try!! The Aukey oil diffuser is a nice size compaired to some others I have looked at.It is really pretty looking too.I would like to get one like this one someday too. I have oil diffusers but they are not near as nice as this one!